During the Spanish Colonial Era, the Chamoru population was greatly reduced by the introduction of European diseases and changes in society as well as all out war under Spanish rule. 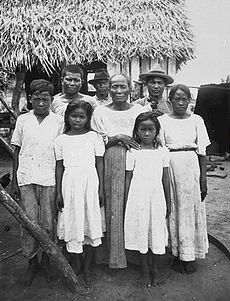 The Spanish killed many Chamoru men and relocated most others to Guam, where they lived in several parishes to prevent rebellion. Some[who?] estimate that as many as 100,000 Chamorus may have populated the Marianas when Europeans first settled in 1667. By 1800, there were under 1,000. Within the parishes, the Spanish eventually focused their efforts on converting the natives to Catholicism. Father Frances X. Hezel stated that Chamorus caught or reported engaging in pagan "sorcery" were publicly punished. Through this, they were given Spanish surnames through Catálogo Alfabético de Apellidos or Alphabetic Catalog of Surnames. 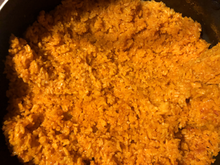 Thus, a multiracially mixed Chamorro with European descent and a Spanish surname may not necessarily have Spanish blood, any more than Filipinos with Spanish surnames do.